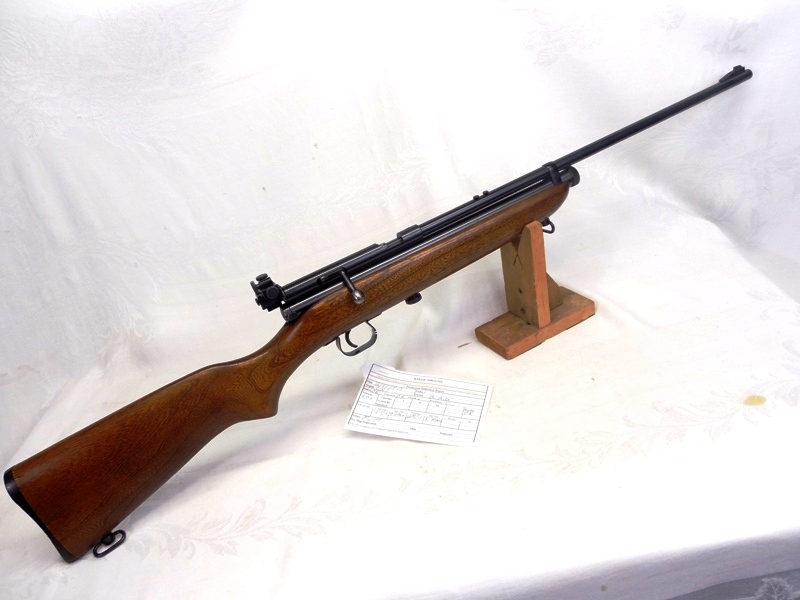 The Crosman Model 160 was made from 1955 to 1971. 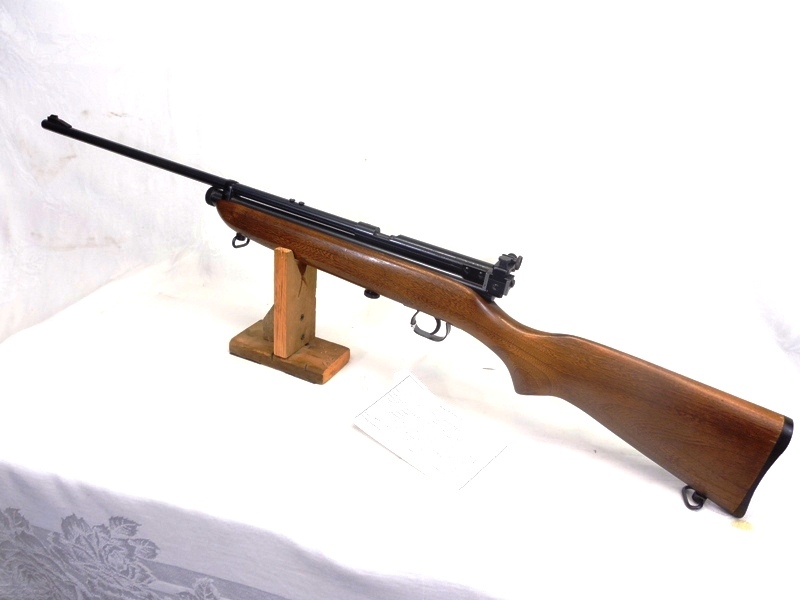 It was originally designed for the US military as less expensive weapon for marksmanship training. It was later distributed through the Civilian Marksmanship Program and marketed to the general public. 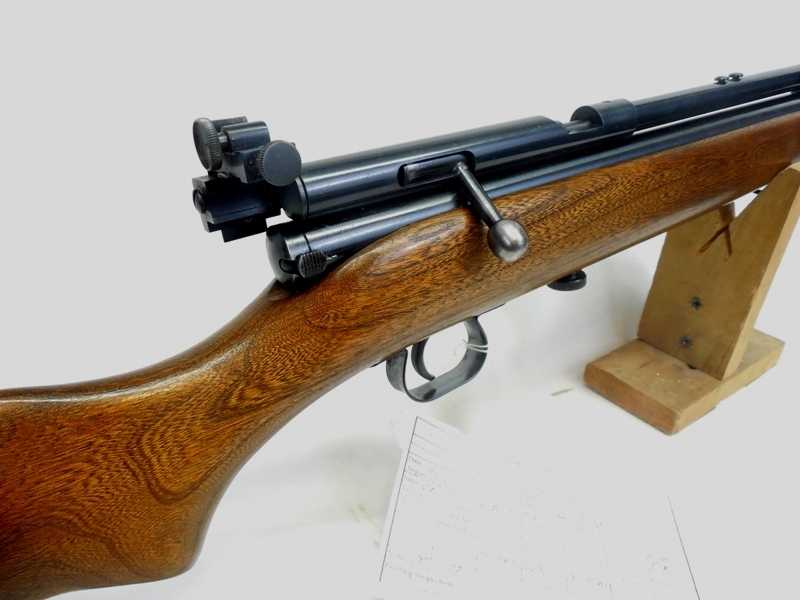 It has long been one of Crosman’s most popular models. 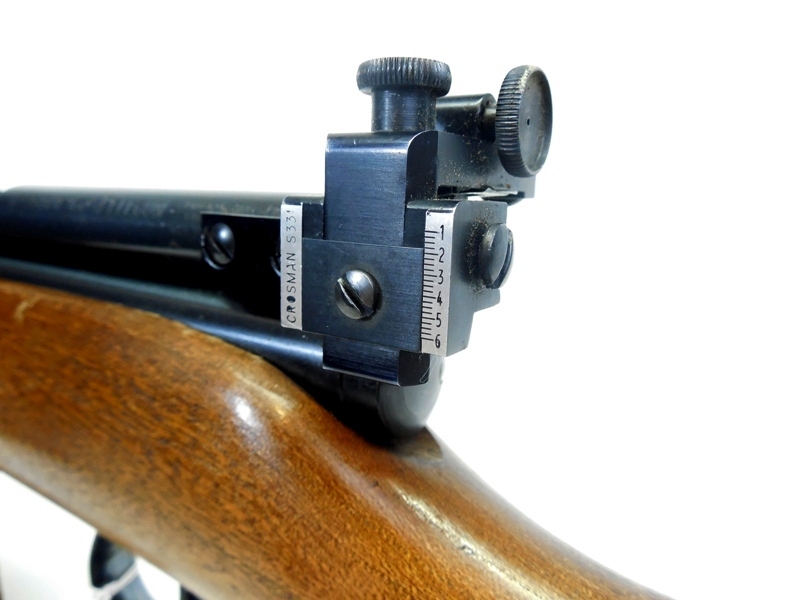 This gun has the automatic safety and barrel band like the second variation made from 1956-59 but has the Crosman Model 5331 Peep Sight. This gun retains over 98% of the original finish. The metal and wood both are original and in beautiful condition. This is as nice as you are going to find. Nearly perfect.